In many contact centers, agents are poorly incentivized and rarely recognized for great service. Yet they are the “brand superheroes” whose mission-critical role is to ease frustration, solve problems, and save the customer relationship. In this eBook for customer service team leaders, we explain the difficulties front-line employees face, the true business costs of low morale, and what it will take to turn the tide and build a working environment that inspires greatness. 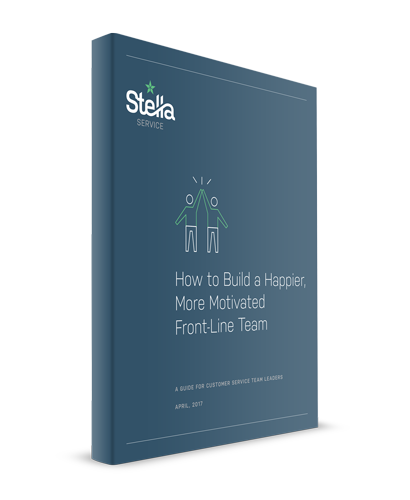 To learn how Stella Connect helps motivate teams, click here. Complete the form below to view the ebook on how to build a happier, more motivated team!